Using Page Builder, you have the flexibility to replace an audio file to your site. Hover mouse over the audio file you want to change and click the wrench button. Audio Settings dialog box appears. Audio Type Choose a audio from the Media Library and Link from another source. Audio Select an Audio file or Edit Playlist. Link Paste url into the Link field . 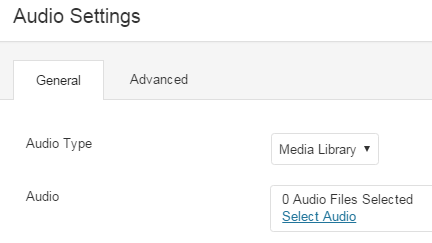 Make your changes to the audio file, and click Update Audio Playlist, located lower right hand corner. Where to change upload file limit on Managed Wordpress?